On Friday, September 7th, the Arts Coalition for the Dupont Underground (ACDU) will be throwing a giant fundraiser/buzz builder. The event will be held “Aboveground” at Eastern Market’s North Hall. All net funds collected from the event will go to help push ACDU and the Dupont Underground project forward. Money raised will help fund an international architectural competition that will bring world-wide attention to the efforts of ACDU. It will also fund the re-opening of one of the “underground” entrances for special events, pop-ups, shows, incubators, and whatever new ideas the group can test out as part of a phased plan to re-open the entire site. Sponsors, Bombay Sapphire (who have created two specialty drinks for the event), Star Hill Brewery, Stella Artois and Veritas Vineyard will be filling cups. KIND Snacks and Popchips will be supplying the munchies. A giant raffle with thousands of dollars worth of goods will be on display. Raffle sponsors include: Corcoran Gallery of Art and College of Art and Design, The Pinkline Project, Our City Film Festival, KIND Snacks, Urban Style Lab, Bombay Sapphire, Marc by Marc Jacobs, local artists’ works and more. 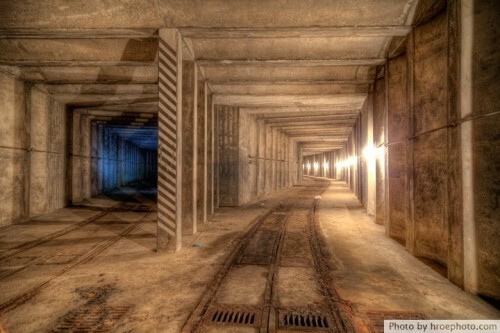 Dupont Underground is an ambitious project that will invigorate the city’s art scene by reclaiming this ideally-sited piece of subterranean infrastructure — a streetcar station last used 50 years ago. We seek to establish a world-class center for arts, design, and innovative entrepreneurship. Powered by creative pursuits and social networks, this former transit space at the head of a key urban axis will serve as a civic focal point for Washington.